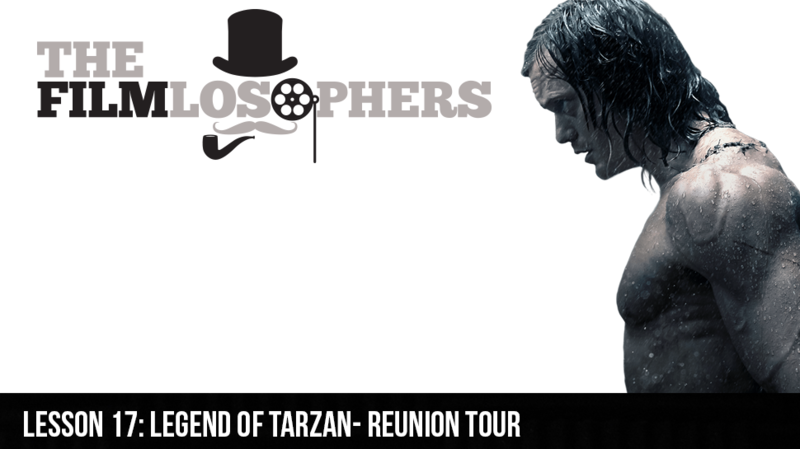 The Filmlosophers, Eddie Villanueva and Chad Riley, welcome Girl Geek HQ’s Erika Ashley for a detailed review of this week’s new release, The Legend of Tarzan (2016). From the historical backdrop to the score – and reactions to the performances of Alexander Skarsgård, Margot Robbie, Samuel L. Jackson and Christoph Waltz – there is much to discuss about this surprisingly detailed interpretation of a classic character. Additional news items include the second issue of Marvel Comics’ “Captain America: Steve Rogers (2016),” which reveals the truth behind “HydraCap,” as well as the 2017 Hollywood Walk of Fame honorees and information about a charity screening of Fantastic Beasts and Where to Find Them (2016) with author J.K. Rowling and film star Eddie Redmayne.